So why is this day unique among all Christian feasts? 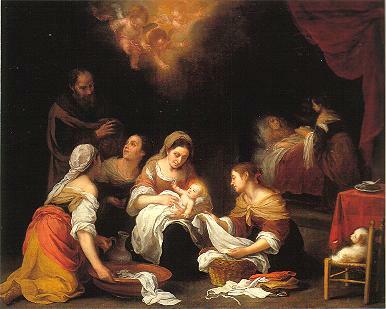 We know that Our Lord declared, “Assuredly, I say to you, among those born of women there has not risen one greater than John the Baptist,” but He went on to say, “but he who is least in the kingdom of heaven is greater than he.” (St. Matthew 11:11) So why is St. John the Baptist unique? 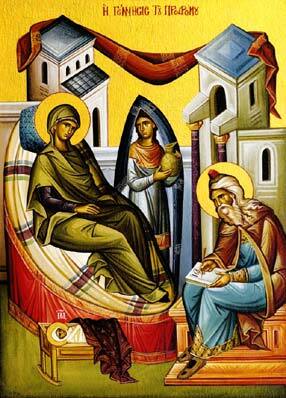 According to St. Luke’s Gospel was anointed by the Holy Spirit while still in his mother’s womb. Nowhere else in Holy Scripture do we see that miracle taking place. St. Elizabeth is anointed with the Holy Spirit and prophetically interprets her unborn child’s action as rightful discernment that the coming Messiah and His blessed mother had come within earshot. Furthermore, we must thoroughly, passionately, and articulately reject the deceit-filled lie foisted upon society which asserts that which is growing within a woman’s body is nothing but a mass of cells. We must completely dismiss the notion that a woman may dispose of the child growing within her body at any time and for any reason. That which the Almighty has created is not a lump of cells; it is not that which may be disposed of for the sake of someone’s convenience or comfort. That which grows within a woman’s body is an agent of the Lord God Most High who may be filled with the Holy Spirit even from before birth. It may be one day that a great many people will have to answer to over fifty million of those agents of God who never drew their first breath. What a dread reckoning that will be. May God have mercy on us all. May God give us that same grace which He gave St. John the Baptist to stand up to the Herods of our day. Almighty God, by whose providence your servant John the Baptist was wonderfully born, and sent to prepare the way of your Son our Savior by preaching repentance: Make us so to follow his teaching and holy life, that we may truly repent according to his preaching; and, following his example, constantly speak the truth, boldly rebuke vice, and patiently suffer for the truth’s sake; through Jesus Christ your Son our Lord, who lives and reigns with you and the Holy Spirit, one God, for ever and ever. Amen. Luke is treating this child in the womb as a person. He uses the word “baby” which he later uses for Jesus in the manger. He uses the word “joy,” which is what persons feel. He uses the phrase “filled with the Spirit” which is what God does to persons. He simply assumes he is dealing with a human person in the womb. And therefore so should we.